From time to time I have guest bloggers on my site to share their expertise. Today Virginia Prior, a Los Angeles based fertility expert and Doctor of Acupuncture, Master Herbalist & Chinese Medical Nutritionist, offers her words of wisdom, sharing information on raw foods and fertility preservation. There is a ton of discussion nowadays about what to eat to avoid infertility and to get pregnant, and as always, I promote a diet that is natural and based on organic, whole foods, with plenty of vegetables, fruits, less processed foods, proteins and healthy fats. If you are a fan of raw foods, you may follow the raw food world and their perspectives on how to encourage and preserve fertility using foods. Having some raw foods are thought to help promote fertility, and are especially helpful if there is excess heat in the system, or during certain seasons – a Traditional Chinese Medicine (TCM) principle often correlating with symptoms such as heat or inflammation. 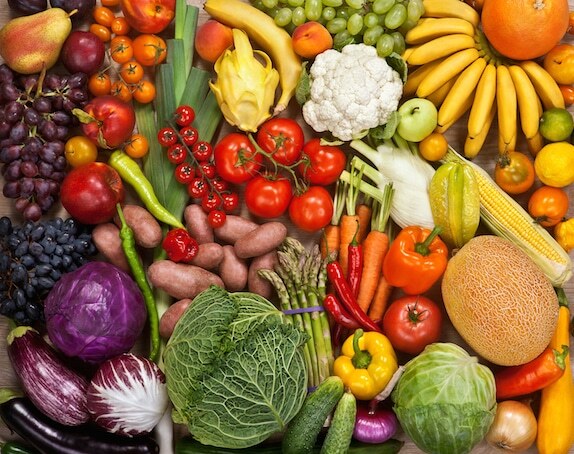 Moreover, sometimes eating more raw foods lends itself to eating more fruits and vegetables, which can greatly help women to prepare for trying to conceive (TTC). Women with polycystic ovaries (PCOS) may take note – this is a good time to reduce foods high in sugar, as this can negatively affect hormones, BMI and how the ovaries are functioning, effecting ovulation-factor infertility. Adding in some raw vegetables or fruits can help you do this. Having regulated blood-sugar levels will help all people trying to conceive, but especially women with PCOS or insulin imbalances, such as diabetes or metabolic syndrome. Some women have certain health issues, such as thyroid imbalances, so be sure to check with your health care team, including your thyroid doctor, about which ones to avoid and which ones to add in, as individual sensitivities may vary. For example, women with hypothyroidism should avoid goitrogenic foods, such as raw broccoli or cauliflower, which can inhibit thyroid function and decrease fertility. Having a healthy amount of zinc and arginine in your diet will also help, and these are found in organic raw nuts and seeds, so if you are lucky enough to not be allergic, adding some of these to your daily regimen may be helpful. On the other hand, if you have trouble with digestion, or trouble breaking down raw foods, try steaming them, adding them to soups and even pureeing food can help with digestion, although soups and steamed foods are ideal for those with weakened guts. Also, people living in the cooler months and climates will want to reserve larger amounts of raw foods for the warmer months if possible. Balance is they key. Besides having a healthy diet, moderating your exercise and managing your stress hormones with acupuncture, meditation and yoga are also helpful things to do while preparing for conception and pregnancy.